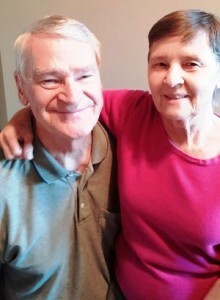 Marcia and Victor Marques are a loving, compassionate couple. 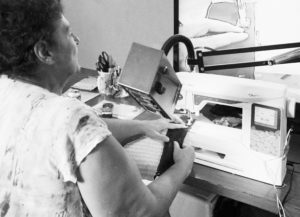 They bond over their interests and love for each other, their careers, and overcoming, with elegance and wisdom, various challenges in life – namely, their respective visual impairments. Marcia was born and raised in Michigan. She was first diagnosed with blindness at the age of two, after a case of the chicken pox lead to the discovery of her having Retinoblastoma, a rare form of eye cancer in children. 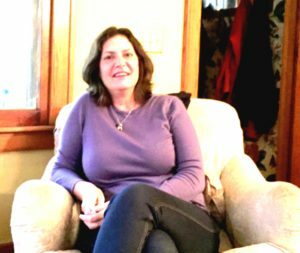 After radiation treatment, Marcia eventually had to have both eyes removed to prevent further complications. Victor, now living in Michigan with Marcia, is originally from Vancouver. 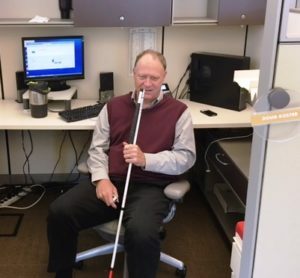 Though Victor had always been diagnosed as “low vision,” he was still able to navigate independently without much assistance. He did not fully lose his eye sight until 2010, when a sudden and quickly progressing onset of symptoms from Leber Congenital Amaurosis worsened his eyesight to almost complete blindness. Married since 2016, Victor and Marcia and each of their guide dogs live in Kalamazoo while working at Renewed Hope Health Clinic in Allegan. 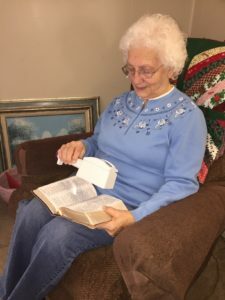 Though their commute to Allegan from home is a bit of a trek, Marcia and Victor make sure to always attend the Associaton for the Blind and Visually Impaired (ABVI) support group in Allegan as well. 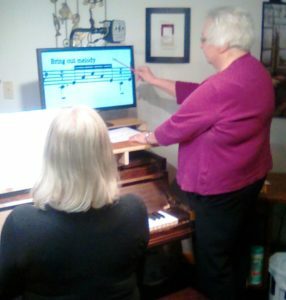 “We would really like to see people who are… maybe reluctant to attending or trying new things come and learn about the group and have a place to kind of share their low vision experiences,” said Marcia. Marcia, having been a member of this support group since its beginning in 2004, now attends with Victor by her side, as they both share their stories, experiences, commentary, and wisdom with the other group members. Marcia and Victor both have amazing stories and insights, and ABVI’s support group is the perfect outlet for them to share them with others. They encourage anyone who is curious about the group or curious about sharing their own vision loss experience to come and learn more. “We hope our story can influence somebody to get out there and try and use the support of the vision support group, and we’re happy to be there sharing with people and encouraging them,” said Victor. “Or even, crying with them when they’re crying, or laughing with them when they’re laughing,” Marcia added. For additional information on the Association for the Blind & Visually Impaired please contact Linda Zizos at lzizos@abvimichigan.org. In the early 2000’s, Vera’s sight was severely impacted by a detached retina in her right eye. And a short time later, her left eye was diagnosed with Glaucoma. Today she has a prosthetic right eye and her left eye has 20/2500 vision. Needless to say, Vera could have easily fallen into depression and stopped living her full life. But that’s not how she viewed the world! 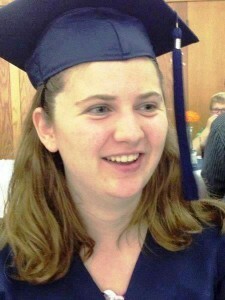 Vera was referred to ABVI by her retinal doctor at a later stage of treatment. It was time she lost maximizing her “functional vision” with our help. However, Vera’s made-up for lost time in a big way. Ruth Ann exemplifies a “can do” spirit. With technology devices prescribed by ABVI’s doctor, and in-home Vision Rehabilitation from our professional team, she continues to live a full life. 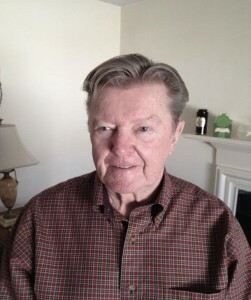 His career spanned 39+ years with Amway warehousing. 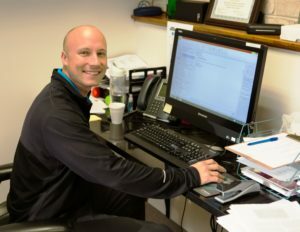 While he had already lost one eye’s sight to life-long, degenerative Glaucoma, Greg demonstrated his professional resolve to help Amway with technology effectiveness. 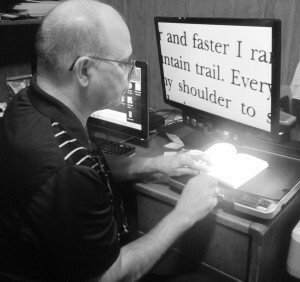 Overcoming the obstacles of vision loss. For the past forty years I have been legally blind. As a young adult I was diagnosed with Stargardt disease, which is the most common form of inherited juvenile macular degeneration. Stargardt disease causes blind spots in the central retina which makes focusing difficult. December 17, 2014 was Ted’s last day of work. There was no retirement party with his co-workers. He didn’t even clean out his desk. It was just like every other day coming home to his wife, Michele, to enjoy his evening with her, his grandchildren and the family pets. I was born completely blind and spent my first three years of grade school in a classroom with only blind children. The advantage of this was that I never felt out of place because I was exposed to children like myself from the start. Joyce spent too many years struggling with declining vision due to macular degeneration and a detached retina. While a local eye care professional was able to help her with retinal surgery, her vision continued to get worse. 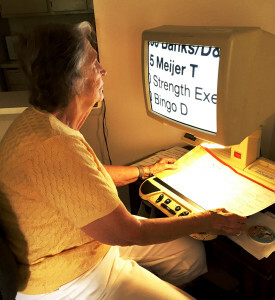 She couldn’t read with a smaller, yet high-powered lighted magnifier. And she couldn’t see family pictures well enough make out faces. 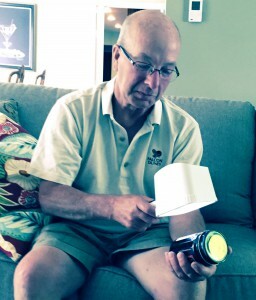 In his 20’s, Doug was losing vision…and he didn’t know what was causing it. He wasn’t aware that he had Retinitis Pigmentosa, because no one in his family knew what it was at that time. Brad ice skated as a young boy. He enjoyed the sport with family and friends. Brad also watched skating on television until his teen years, when his vision was still fairly good. Around that time, he was diagnosed with Retinitis Pigmentosa. As his vision gradually declined, he eventually gave up skating. 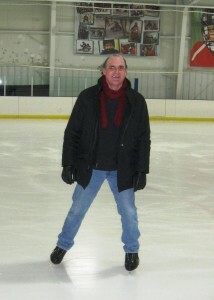 Brad’s now 50 years of age, and he’s back on the ice. 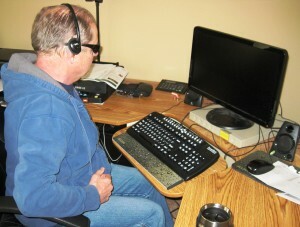 In 2005, Wayne began his supportive journey with the Association for the Blind and Visually Impaired (ABVI). He was looking for help with essential activities such as grocery shopping, independent and confident travel and financial budgeting help. In 2008, during an annual eye exam, my doctor confirmed that my Macular Degeneration was now at a point where I might experience difficulty passing the vision portion of my driver’s license renewal exam. I was referred to the Association for the Blind and Visually Impaired, by my Retinal specialist, in July 2016. Their caring professionals and staff made me feel comfortable with my problem, and helped me with vision enhancement devices. I’m now able to read my New York Times again! Brandon is enjoying a special time of his young, adult life. He’s 32,Both he and his wife are also successfully employed. He’s at Old Orchard in Quality Assurance and his wife is a kindergarten teacher in a nearby school. Together, they have years of life ahead as a young family. married to his college girlfriend and, together, expecting their first child.